Why does this shell-script dim my bash colors? let "sum = 16 + 36*$1 + 6*$2 + $3"
Even upgrading my bash version thru Homebrew fails to shift this. Because your function told it to do so? Google bash prompt & tput and you get quite a few suggestions on how to set up your prompt. 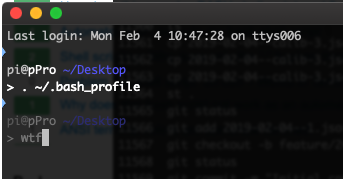 Comment out the function you posted in your ~/.bash_profile. Start a new terminal. Things should be normal again. Not the answer you're looking for? Browse other questions tagged bash . How does this complex BASH shell script work?